"On the Laws of Change of the Price System in an Economy which Contains Complementary Goods", 1952, Osaka EP . "Consumer Behavior and Liquidity Preference", 1952, Econometrica . "An Analysis of the Capitalist Process of Reproduction", 1956, Metroeconomica . "Notes on the Theory of Stability of Multiple Exchange", 1957, RES . "A Contribution to the Non-Linear Theory of the Trade Cycle", 1958, ZfN . "A Dynamic Analysis of Structural Change in a Leontief Model", 1958, Economica . "Prices Interest and Profits in a Dynamic Leontief System", 1958, Econometrica . "Some Properties of a Dynamic Leontief System with a Spectrum of Techniques", 1959, Econometrica . "Existence of Solution to the Walrasian System of Capital Formation and Credit", 1960, ZfN . "On the Three Hicksian Laws of Comparative Statics", 1960, RES . "A Reconsideration of the Walras-Cassel-Leontief Model of General Equilibrium", 1960, in Arrow, Karlin and Suppes, editors, Mathematical Methods in the Social Sciences . "Economic Expansion and the Interest Rate in Generalized von Neumann Models", 1960, Econometrica . "Proof of a Turnpike Theorem: The `No Joint Production' Case", 1961, RES . "Aggregation in Leontief Matrices and the Labor Theory of Value", with F. Seton, 1961, Econometrica . "Generalizations of the Frobenius-Wielandt Theorems for Non- Negative Square Matrices", 1961, J of London Mathematical Society . "The Stability of Exchange Equilibrium: An alternative approach", 1962, IER . Equilibrium, Stability and Growth: A multi-sectoral analysis , 1964. "A Refutation of the Non-Switching Theorem", 1966, QJE . Theory of Economic Growth , 1969. "A Generalization of the Gross Substitute System", 1970, RES . "Consumption-Investment Frontier, Wage-Profit Frontier and the von Neumann Growth Equilibrium", 1971, ZfN . The Working of Econometric Models , with others, 1972. Marx's Economics: A dual theory of value and growth , 1973. The Economic Theory of Modern Society , 1973. 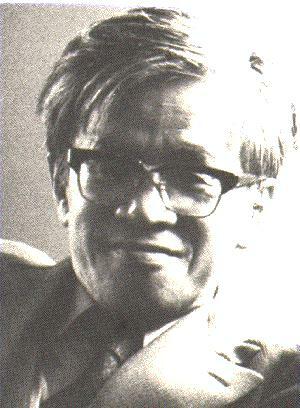 "The Frobenius Theorem, Its Solow-Samuelson Extension and the Kuhn-Tucker Theorem", with T. Fujimoto, 1974, JMathE . Walras's Economics: A pure theory of capital and money , 1977. "The Cournot-Walras Arbitrage Resource Consuming Exchange and Competitive Equilibrium", with M. Majumdar, 1978 in Hommage a Francois Perroux . "The Good and Bad Uses of Mathematics", 1984, in Wiles and Routh, editors, Economics in Disarray . Economics of Industrial Society , 1984. Why Has Japan Succeeded? Western technology and the Japanese ethos . "General Equilibrium Theory in the 21st Century", 1991, EJ . Capital and Credit: A new formulation of general equilibrium theory , 1992. "Capital and Growth", 1994, in Homouda, The Legacy of Hicks . Dynamic Economic Theory , 1996.